I’ve been blogging for over 6 years now, and I’m often asked what blogging tools I use and recommend for blogging. 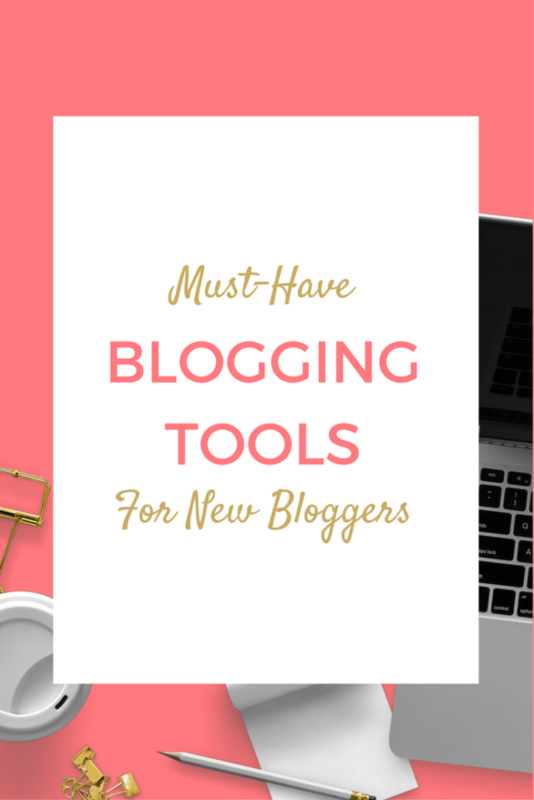 Below you will find a list of helpful tools I use and/or have used as a blogger. I hope you find them helpful! Please join me in our Build Your Best Blog Facebook group where you can learn to grow your blog’s traffic and social followers with help from other bloggers! (This page contains affiliate links). 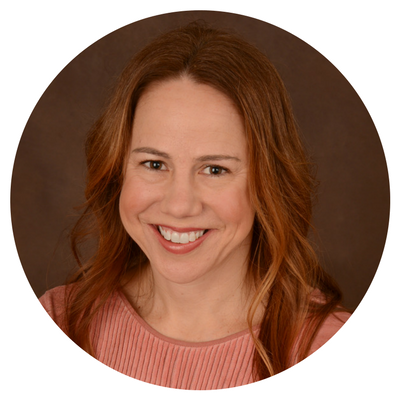 One thing that almost every professional blogger and website owner will tell you is to start building an e-mail list as soon as you launch your blog or website. It’s so much easier to start early! 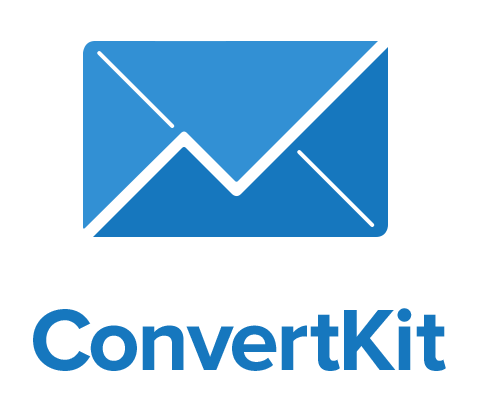 ConverKit is an e-mail marketing platform that is created especially for bloggers! 🙂 It’s super easy to get your list up and running, along with sign-up forms and automated e-mails. I can’t even begin to describe the wealth of tools this platform has, but they have some AWESOME video tutorials that help you leverage the service for your blog or website. Plans start at $29/month for up to 1,000 subscribers, and I think it’s worth every penny! Beautiful, professional-looking photographs are an asset to any blog or website, but they can be expensive! I stumbled upon this woman-owned business that I’m in love with! 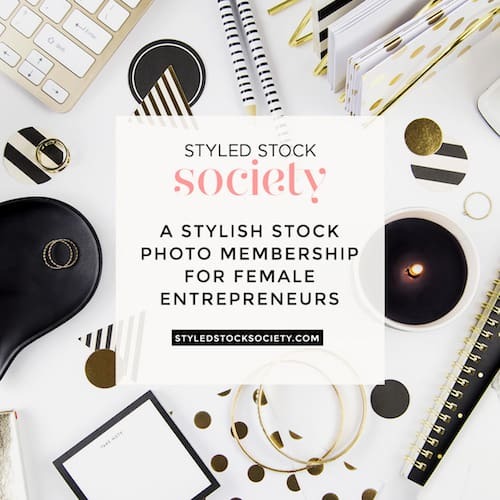 It’s a membership site where you pay a fee each month ($29) and you can download as many of her gorgeous stock photos as you want! They are clean and modern and come in a variety of different color palettes and themes. You will also find square, landscape, and portrait layouts, so you can use them for blog post feature images AND social images. My site is currently running the Bluchic Isabelle theme, and I LOVE it! I have been very impressed with how user-friendly the installation process is, thanks in large part to the very detailed tutorials that Bluchic provides. Bluchic will guide you step by step from uploading the theme to putting on the finishing touches like widgets. They even have accompanying YouTube videos to show you where things are on your WordPress dashboard. Another huge benefit is how SEO-friendly they are. Their themes come with schema.org microdata built-in, so your content can be read and indexed easily by search engines. If you like the clean, minimalist design of this blog, you will love Pretty Darn Cute Design who crafted it! If you have experience tinkering with themes, you can customize the themes easily. You can also pay a fee to have them upload your logo/photo banner, change fonts, colors, etc. all within a 24 hour time frame! They were very easy to work with and super responsive. I love SiteGround hosting because they are affordable and I can always get someone on support. Their online chat support is AMAZING! Hosting plans start at $3.95, so you don’t have to break the bank when starting your blog! I use FreshBooks for invoicing clients and tracking my blog’s expenses and to make billing painless ! When you are self-employed (or own a small business), accounting can seem really intimidating. With FreshBooks, it’s super easy to add clients, generate invoices, track expenses and print out reports when it’s time to prepare your taxes! Pinterest is SO IMPORTANT for bloggers! It’s a great way to share your content and have it indexed for people to be able to search for on Pinterest. It can be easy to log on to Pinterest and start pinning a large number of images, but it’s much more ideal to space them out over time. Pinterest rewards pinners who pin at regular intervals and are active on a daily basis. The Tailwind app is a SUPER EASY way to schedule your pins out for weeks at a time! You can pin your own content and other pins you want to share. 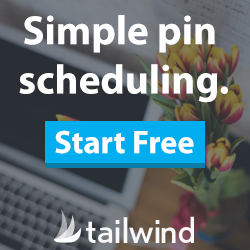 Create a custom pinning schedule, pin to multiple boards at once, upload your own pins, and more with Tailwind. You can get a month FREE (without providing any payment info!) by clicking HERE. 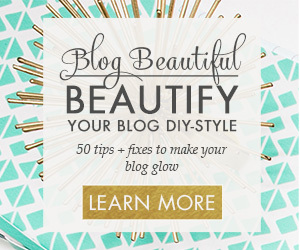 Marianne from Design Your Own (Lovely) Blog has an AWESOME book called Blog Beautiful: 50 Tips and Tricks to Make Your Blog Glow that helped me learn a lot about editing my blog’s theme and making changes to my design elements. It’s a great primer on how to give you blog a professional look, without spending a fortune!